This package includes Hardcover and WebAssign. Develop your own statistical sense with the balanced presentation of conceptual application and computational understanding found in Discovering Statistics. Now with Sapling Intro Stats, this powerful set teaches you through meaningful hints, targeted feedback, and detailed solutions to ultimately grasp statistical concepts and calculations. Since his days of collecting baseball cards as a youngster, Dan Larose has felt a lifelong passion for statistics. 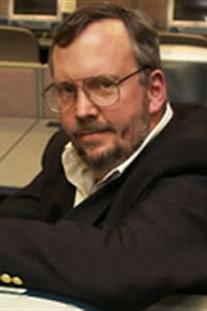 He completed his PhD in statistics from the University of Connecticut in Storrs in 1996. Today, Larose is Professor of Statistics in the Department of Mathematical Sciences at Central Connecticut State University. There, he designed, developed, and directs the world’s first online Master of Science degree in data mining. He has published three books on data mining, and is a consultant in statistics and data mining. His fondest wish is to impart a love of statistics to a new generation. Larose lives in Tolland, Connecticut, with his wife Debra, daughters Chantal and Ravel, and son, Tristan. 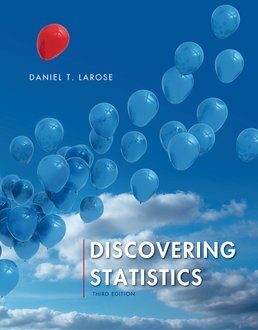 Dan Larose’s Discovering Statistics strikes the ideal balance of conceptual application and computational understanding to develop students’ statistical sense and enable them to discover the statistician within.